What were Jan and Cora Gordon doing a century ago? Well, they were busy rebuilding their careers as artists following the war. "He, too, has been attracted by the witchery of the "Dazzleship" which seems to draw every painter - every painter, at least, who has as pronounced a feeling for definite form, effective pattern, and emphatic colour as Lieut. Gordon. When he recorded his impressions of Serbia, at the time when he was doing Red Cross service with the defeated Serbian armies, he embodied his love of definition and bright colour in a series of drawings, some of which figure in the present show. That his preoccupation with broad decorative effects does not preclude subtle observation of significant details is proved by such touches as the nervous action of the hand holding a cigarette in the character study, "Albanian Merchants in Scutari." "Serbian Retreat in the Ipek Pass" strikes a grim dramatic note. As far as his art is concerned Lieut. Gordon's trip to Serbia was an accident ; he is the last man to find it necessary to travel far afield in search of the picturesque. He finds it wherever he happens to be - in a "Cornish Garden" or "A Farmyard," and particularly in "Regent's Park." A useful recent reference on these dazzle designs and their influence in popular culture is James Taylor's 2016 "Dazzle: Disguise and Disruption in War and Art." 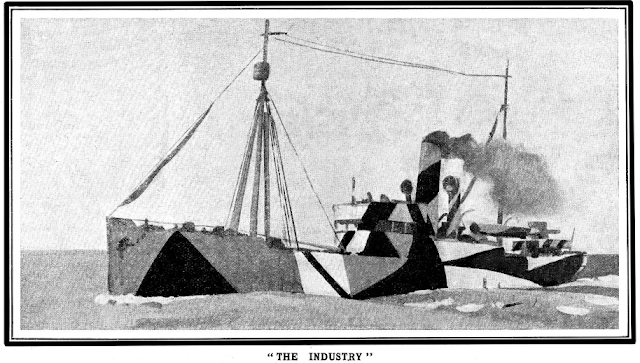 He states that: "in the course of the First World War, a collision of naval strategy and the nascent modern art movement, led to some two thousand British ships going to sea as the largest painted modernist “canvases” in the world covered in abstract, clashing, decorative, and geometric designs in a myriad of colors." Jan Gordon was also working as an art critic in 1919, as seen for example in his commentary on John Singer Sargent's popular painting "Gassed" for the Athenaeum (Jan was not popular with Virginia Woolf at the time). 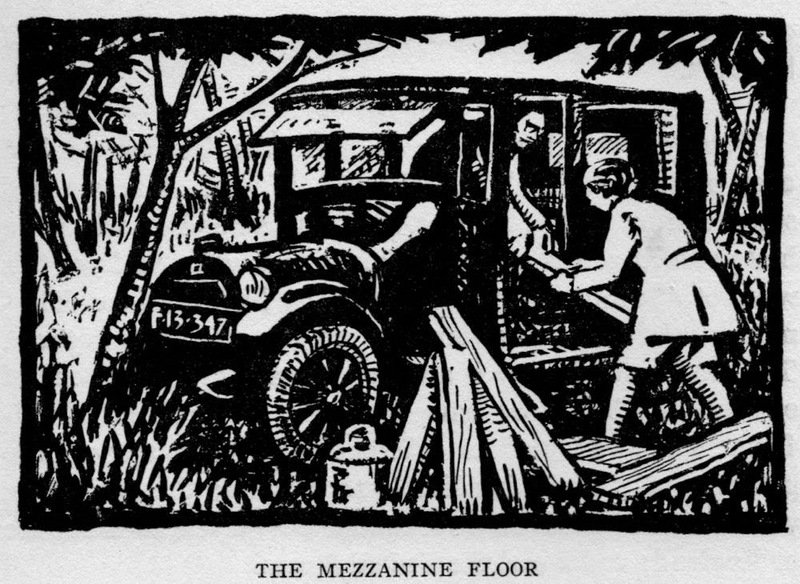 There were also parties, as hinted at by Marthe Troly-Curtin, writing in "The Sketch." 1920 would see the start of a long series of painting journeys in Europe and the USA, resulting in a highly fruitful new phase in the artistic and literary careers of Jan and Cora Gordon. Their first journey would be to the warmth of southern Spain.